With the rise of mobile banking, we no longer need to stand in queues to execute financial transactions. So, almost every bank has an app that provides ample freedom to its account holders to perform banking away from banks. 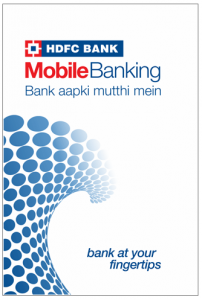 Mobile banking apps provide users the conveniences of online banking in a requisite smartphone. It is one of the most user-friendly mobile banking apps, allows you to perform most of the banking operations conveniently from the palm of your hand. – Pay utility bills, credit card bills, etc. With 4.2 stars on Google Playstore, the app runs smoothly on the low-speed internet too. 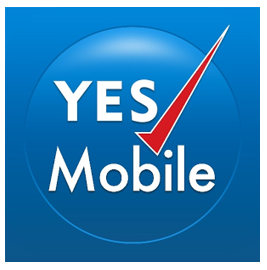 iMobile claims to be the most comprehensive and secure Mobile Banking application, getting payments done through Unified Payment Interface (UPI), offering over 170 banking services on your mobile. 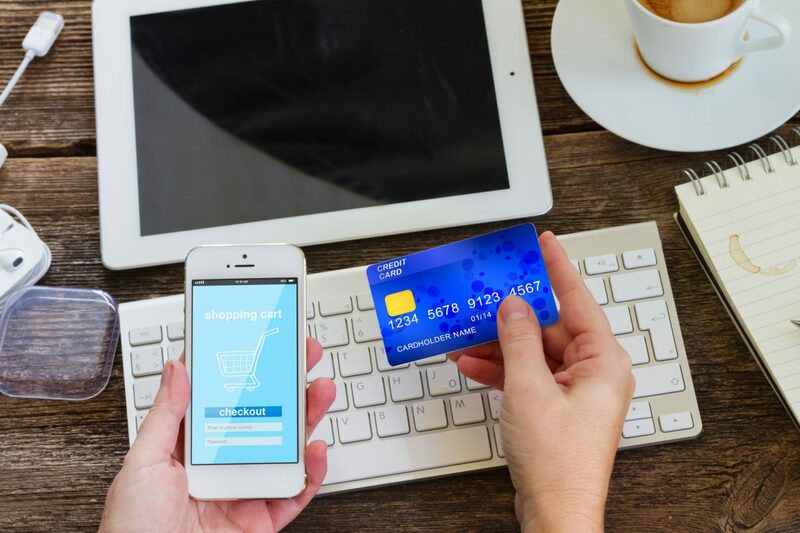 It allows all banking facilities from sending cash to opening FD, locating an ATM to ordering your cheque book you can manage your bank account at your convenience.It also has a companion smartwatch app called iWear for on-the-go banking experience. 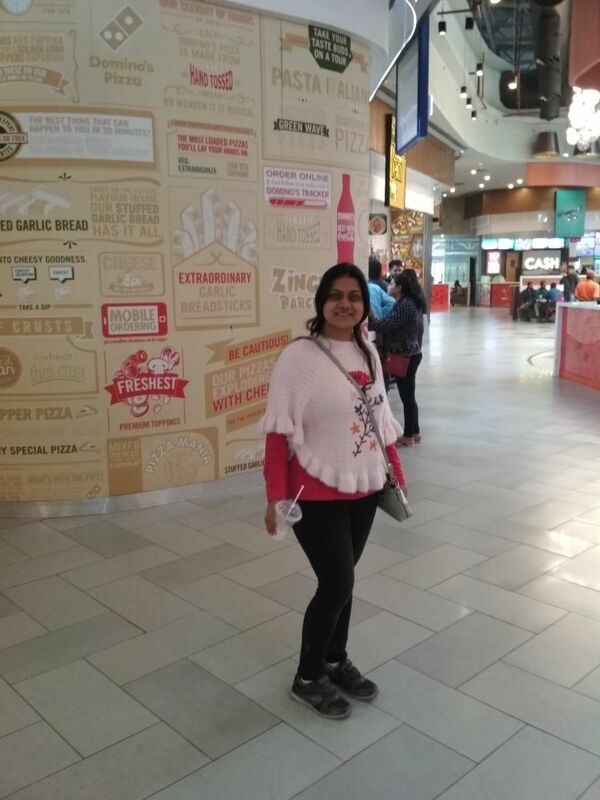 iWear is a companion app that works only when a user has downloaded Android Wear on their mobile devices. 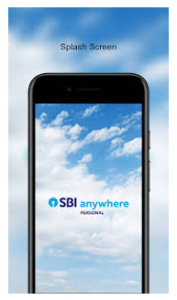 SBI Anywhere is the Mobile Banking application for Smart Phone customers of SBI supporting English and Hindi languages. 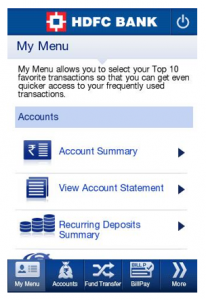 The app setup is easy and allows users to check their account information at any time. It has a plethora of functions including Voice Assisted Transactions and also supports inter-bank secured fund transfers thru RTGS/NEFT/IMPS. You can also transfer funds to unregistered beneficiaries through QR code. SBI Quick, Smart Watch Banking, Aadhar Linking to all bank accounts etc are some of its cool features. 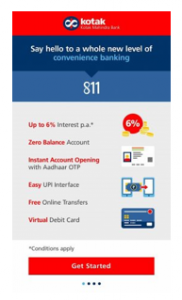 Kotak 811 is the official mobile banking app of Kotak Mahindra Bank, 811 means 8/11 or 8th of November the day when the Prime Minister of India announced demonetization. 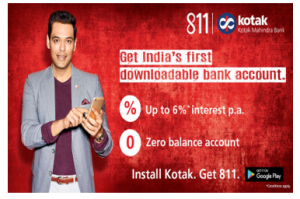 The uniqueness of this app is that it lets you download a Kotak 811 savings account on your phone. All you need is your Aadhaar number, PAN and you’ll be done in less than 5 minutes. 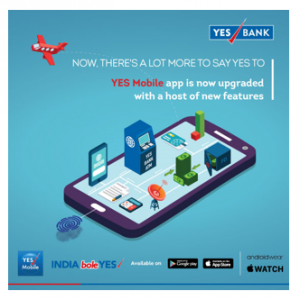 It claims to have over 100 features including managing all your financial transactions, shopping online via Flipkart, booking movie tickets via PVR, flights and hotel rooms via Goibibo and much more. 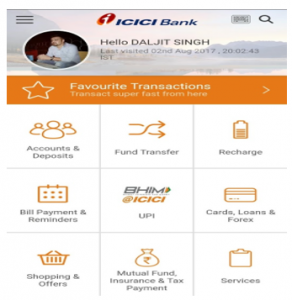 This app is also Unified Payment Interface (UPI) enabled which lets you send and receive money without adding any additional bank information. It also offers easy login using Fingerprint Authentication on select devices. The PPBL service will only be available through the Paytm app for now. You cannot sign up via any web browser or any physical branch. 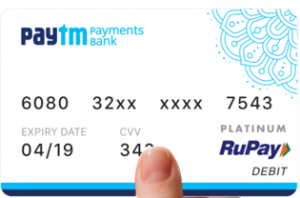 As a Payments Bank, Paytm can now offer banking services like Debit Cards, Online Banking, Mobile Banking, and also accept deposits of up to Rs. 1 lakh per customer in a Savings Account. Although Payments Bank cannot offer financial products of their own as a business entity, it can act a business correspondent and partner with other financial institutions and banks to offer Loan Products, Fixed Deposits, Insurances etc. How can you open a Paytm Payments Bank account? To open your bank account, kindly follow these simple steps. – Set a passcode (if not setup already) and provide nominee details for your account. Let us know about your experience with these apps or any other banking apps worth mentioning. Please share your thoughts in the comments.